The greater Wichita area real estate market saw minimal changes from August to September. 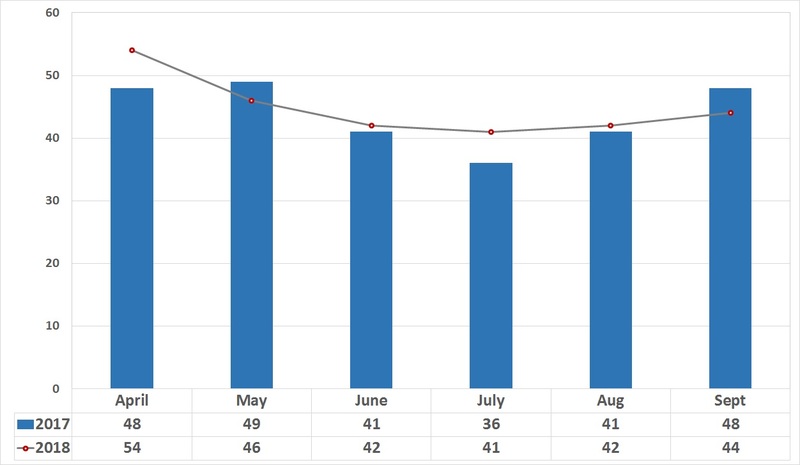 Following the trend of August, September provided new inventory, bringing our market to over a four month supply. Which is very excitable and welcoming news for buyers! 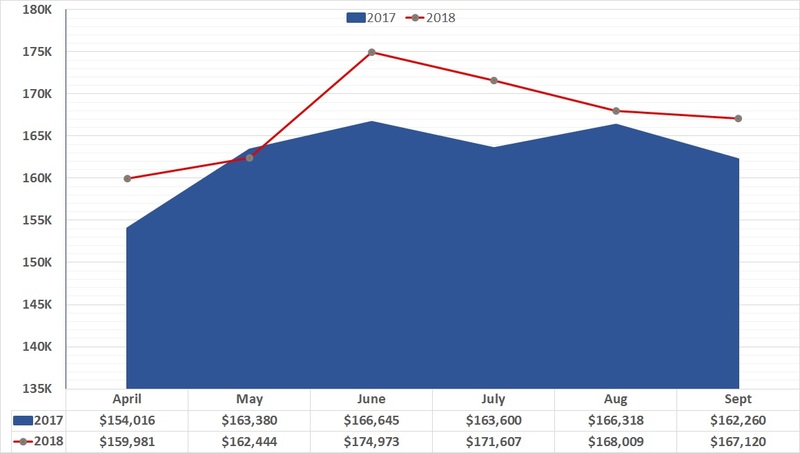 Although the momentum of the early summer months has settled down for contracts written and closings, our average sales price remains strong on a local and national level. Also, the amount of time a listing is on the market remains low, especially compared to this time last year. The statistics below are based on information from the RSCK MLS for the time period of September 1, 2018 through September 30, 2018. Report data generated on October 2, 2018. As mentioned in last month’s Residential Market Update, August brought much welcomed new inventory to the Wichita market. Along with the new inventory from September, the Wichita residential real estate market may be leveling out. We’ve been in a seller’s market for quite some time now, which has been holding buyers back, due to lack of inventory to purchase. While the average sales price has declined since the earlier months of summer, the average sales price remains strong. Comparing the market year over year the average sales price has increased notably. When reflecting on this time last year, the average sales price took quiet the hit. The graph below truly conveys the improvements to our market through 2018. With school back in session and summer vacations behind us, buyers resumed their home search. Homes listed in August quickly received offers and on average only remained on the market for less than 45 days. 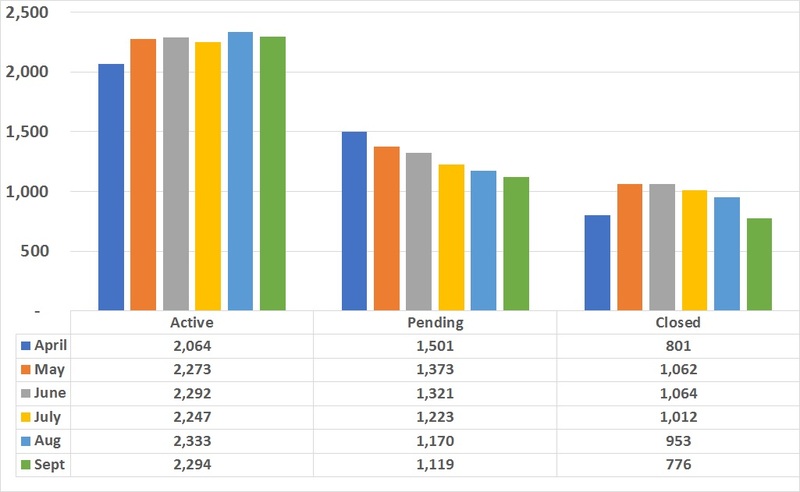 Comparing year over year, the amount of time a listing is on the market has reduced by 4 days. Visit us at www.weigand.com to explore and utilize the Price My Home tool. Create an account to set up Property Alerts to notify you of new inventory and Market Snap Shots to discover what the market looks like in a specific neighborhood or area you’re selling or searching in! To view August’s Market Update click HERE! Considering selling and/or purchasing a home? Visit us at www.weigand.com or call 316-292-3991 for more information!